Shakesville: Polar Vortex: It's Cooooooooold! 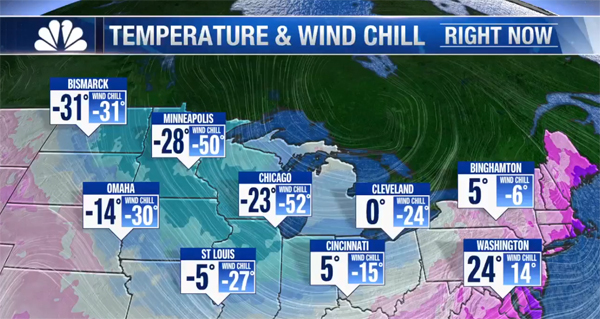 It is dangerously cold across much of the United States and Canada, care of the polar vortex, and it's going to get worse before it gets better. I'm extremely worried about vulnerable people and their pets during this hideous cold, especially as it's coming so soon after the shutdown, which delayed getting a lot of people into secure housing. As always, if you have recommendations for how people can help or direct resources to organizations providing assistance during the cold weather, please feel welcome and encouraged to leave them in comments. We got a little bit of snow last night, and the roads were very slushy and treacherous for a few hours, but the biggest thing with which we had to contend was the wind, which was intense. Woo. Our heat is still on — touch wood.